The Christ Principle Part II continues to demonstrate Jesus Christ as a man who DISCOVERED the hidden potentials that exist in every human being. Once we understand Jesus Christ as a man who was dedicated to an unknown purpose and destiny, we begin to unlock the secrets to his ministry. Here we find an alternative view concerning his final temptations and the significance of the Power bestowed upon him during his final quest to understand his purpose. Only by understanding his TRUE purpose could he make the CHOICE, which would grant immunity to EVERYONE who lived on earth before and after him. What did he discover? What has modern-day Christianity missed in the interpretation of this important message? 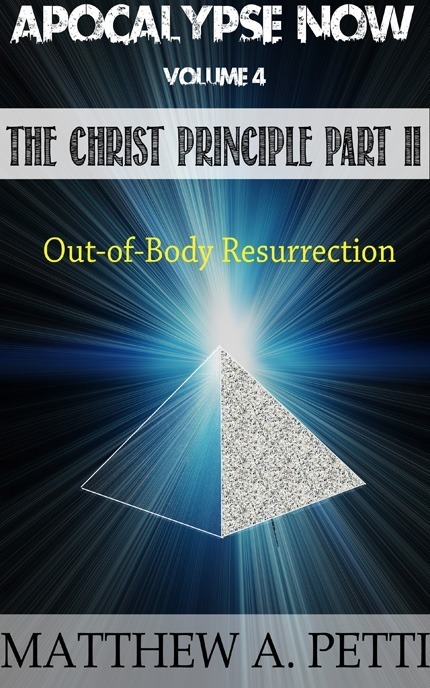 Learn why Christ's body COULD NOT have taken part in the resurrection and why this misconception will present itself in the final conflict of humanity. Discover the mysteries of Revelation's prophecy as the secrets continue to unfold in Volume 4 of the Apocalypse Now Series.